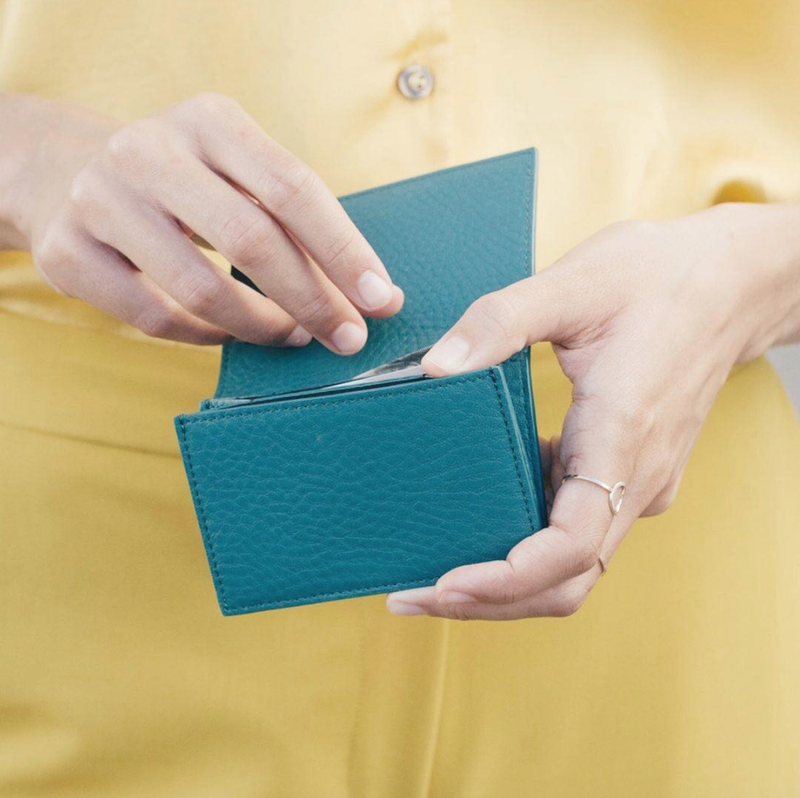 If you find your wallet growing thinner with every passing day, it may be time to develop a budget that’ll transform your spending habits and grow your savings. Struggling to change your finances for the better? Follow a few easy budgeting tips — hard learned through trial and error by yours truly — to develop better financial habits. I’ll be the first to admit that my credit card probably works out more than I do. With all of that constant swiping and sliding through machines, I’m surprised it’s still intact. When I can’t see the money visibly draining from my bank account, it’s easier to say yes to an $8 venti caramel latte, after all. But when I decide to use just cash for my purchases, I’m more hesitant to indulge in purchases I know I don’t need. Research shows that not only do cash purchases help you save money, but they also bring you a greater sense of joy, too. A money-saving tip that’ll help cut back on spending while increasing satisfaction with purchases? Count me in! When I try to save money without a concrete plan, I often find myself saving and making an impulse buy the very same day. I have the mentality that payday is an occasion for treating myself — without thinking about my upcoming bills or expenses. But the 50/20/30 budgeting plan helps me to see my finances more clearly while ensuring I have enough money at the end of the month to spend on myself, too. The 50/20/30 plan is as simple as dividing your income into three separate categories with accompanying percentages— 50% for essential funds, 20% for savings and 30% for personal spending. Stick to this simple model and watch as your savings grow. Keeping my card off-limits at least once per week has saved me more money than perhaps any other money-saving tip I’ve used. I decided to choose Monday because I know the first work day leaves me a little too tempted to indulge in shopping — and I know I’m not alone. Statistics show that Americans are most likely to use their credit card for online shopping and while at department stores or restaurants. Simply tuck your card away once a week and forget it exists. The simple “out of sight, out of mind” mantra may just save you thousands of dollars a year. When you see a super cute and trendy purse on sale for $20, you may not think twice before you whip out your card to make a purchase. But when you think about the fact that it took an hour of your time to earn that bag, you may be more likely to save yourself from making an impulse purchase. Divide the cost of a good by your hourly work rate the next time you’re tempted to make a big purchase. You may just find that the goods that’ll make their way to the back of your closet aren’t worth your hard-earned time after all. A year ago, if my bank account could talk, it would’ve probably told you I clearly didn’t know how to cook. And I didn’t! But I’m not the only one who grudgingly admits to spending too much money on fast food and dining purchases. Millennials spend nearly 44% of their food budget, or approximately $3,000 a year, on eating out alone. While the thought of standing over my stove every night wasn’t exactly thrilling, I ended up discovering meal prepping — a way I could prepare all of my meals for the week ahead of time. Every Sunday, I unleash my inner-chef and cook up a few dishes that’ll last the entire week instead of waiting in long waiting lines at McDonald's during my lunch break — which I’d call a win-win situation across the board. Making a purchase should feel good — not stressful. Once you start budgeting, you don’t have to feel that sinking feeling every time you swipe your card (or, better, hand over a good ole fashioned twenty-dollar bill). Anyone can start an effective yet pain-free budgeting plan. Are you ready to make an important financial change?